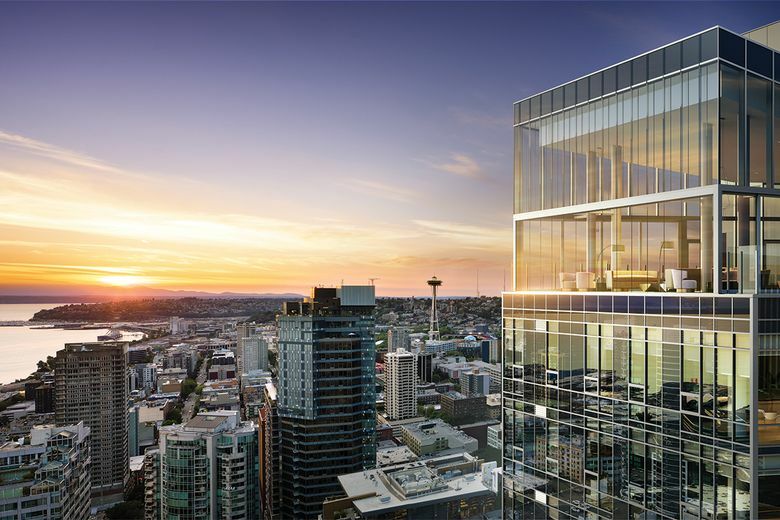 The Emerald will offer unobstructed westward views from its 39th-floor Olympic Room. The Emerald will reflect the Pacific Northwest’s natural beauty with striking architecture, a refined interior design and luxury amenities. SEATTLE — The first new condominium high-rise to be built one block from Pike Place Market in more than a decade, The Emerald offers a distinctive home-ownership opportunity in one of Seattle’s most iconic neighborhoods and center stage to the future waterfront promenade. The Emerald will reflect the Pacific Northwest’s natural beauty with striking architecture that accents the skyline, a refined interior design that encompasses the surrounding views, and luxury amenities to entertain family and guests or provide a calm escape in the heart of the city. The collection of 265 residences will offer unobstructed westward views of Puget Sound and the Olympic Mountains. An appointment-only sales gallery will open in February at 1901 Fourth Ave. in Seattle. The gallery will provide an opportunity to explore The Emerald through a high-tech, interactive experience that enables homebuyers to compare residence floor plans, views and much more side-by-side. Interested parties are encouraged to register for a personal appointment at theemeraldseattle.com.